As I mentioned last month, we’re planning a family road trip. It will be the first as a family of five and I’m hoping C is as good in the car as W was last summer. So where are we headed? I’m looking forward to sharing one of my favorite vacation spots with my kids. I know they are still young and may not remember much of it, but I’m going to love seeing it all through their eyes. It’s one of them most exciting things for me as a parent. I love watching them experience my favorite things and places with me. Part of our trip to Orlando does include their first visit to Disney World so I wanted to start building the excitement with a Disney vacation countdown! 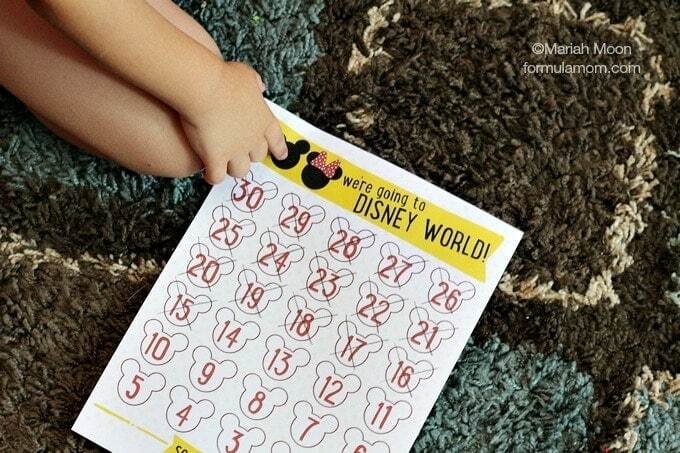 I’ll admit that I would have loved to create a completely original Disney vacation countdown but I found so many cute ideas on Pinterest that I just couldn’t resist! 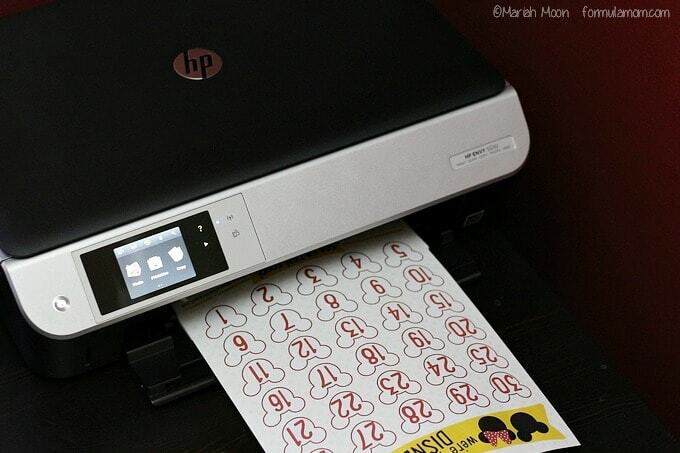 Our HP ENVY 5530 e-All-in-One printer was a huge help in getting the countdown ready while the kids were napping one afternoon! 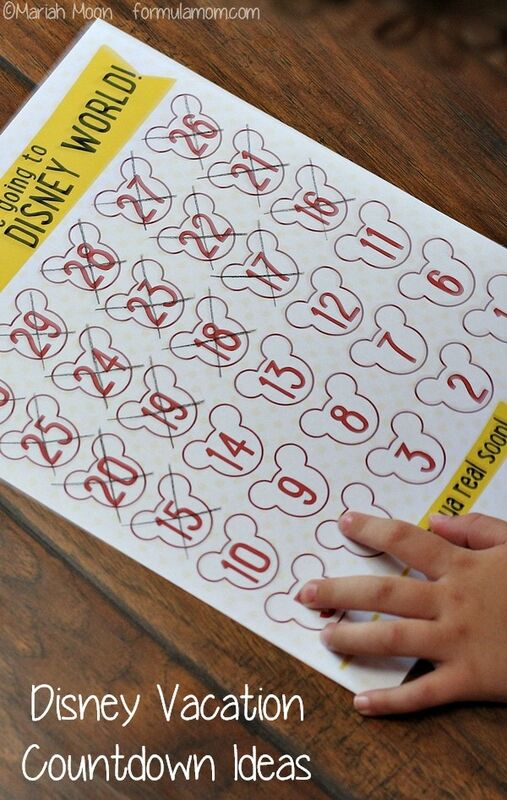 It was so easy to print out the Disney vacation countdown that I fell in love with when I spotted it! It’s a great countdown for using the last month before your vacation. W is a huge fan of numbers so using one with the numbers to cross off was really exciting for him. Next time I think I’d like to make a paper chain so we can tear a link off each day and watch the chain get shorter. I always loved doing that for countdowns when I was teaching. Counting down is definitely a fun way to build excitement before the big trip! 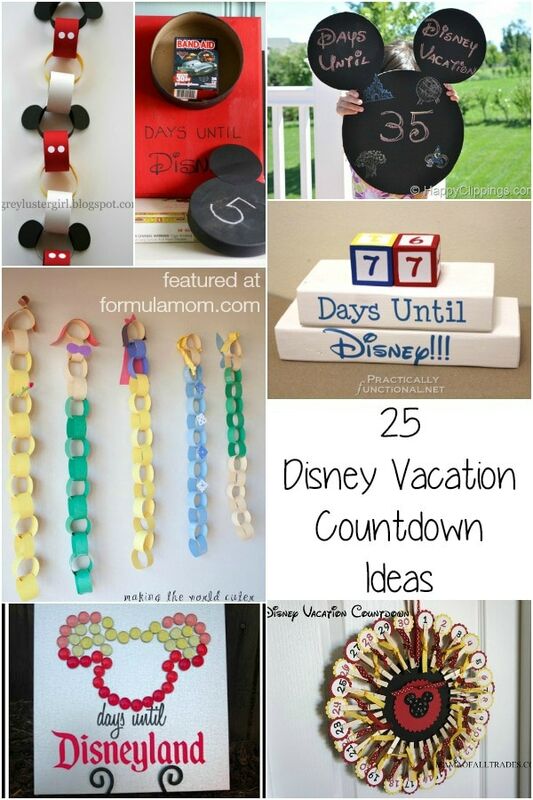 If you’re looking for Disney vacation countdown ideas, check out some of my favorite ideas below or on my Disney Vacation Planning Pinterest board. W is getting excited about checking out Disney World and the rest of our Orlando vacation. The hotel we’re staying at has a pirate ship themed pool and I’m pretty sure we’re going to be spending a lot of time in the pool area. I plan to spend some time in the pool but I also plan to spend some time relaxing. Our HP Pavilion x360 is already packed so I can use it in the shade by the pool or to watch a streaming movie at night before bed since I’ll be sharing a room with W and he tends to take over the TV! I can’t wait to share all of our adventures when we get back. I plan to capture as much of our family adventures on camera while still being part of them! I think I’m almost as excited as W! Here’s to hoping the road trip part goes smoothly so we can enjoy tons of family time! How do you build excitement for family vacations? Thanks to HP for sponsoring this great #HPFamilyTime adventure for my family! For more Disney vacation countdown ideas and other Disney planning tips, don’t miss my Pinterest board dedicated to Disney vacations! Follow Mariah Moon – Formula: Mom’s board Disney Vacation Planning on Pinterest. This is nice! My family goes to Disneyland every year but we might head over to Disney World in 2 years! These are great ideas so I can build excitement for our annual trips! I love these ideas! We generally prepare for vacations by planning, reading travel magazines as a family and looking at youtube videos. You have some wonderful ideas here and that must be part of the teacher in you. These could be used for anything: birthdays, holidays, rewards (working for something), etc. Have a great vacation at Disney World! I love the chain linking idea! These are cute ideas! So happy you get to take your kids there. Have a wonderful and safe trip!